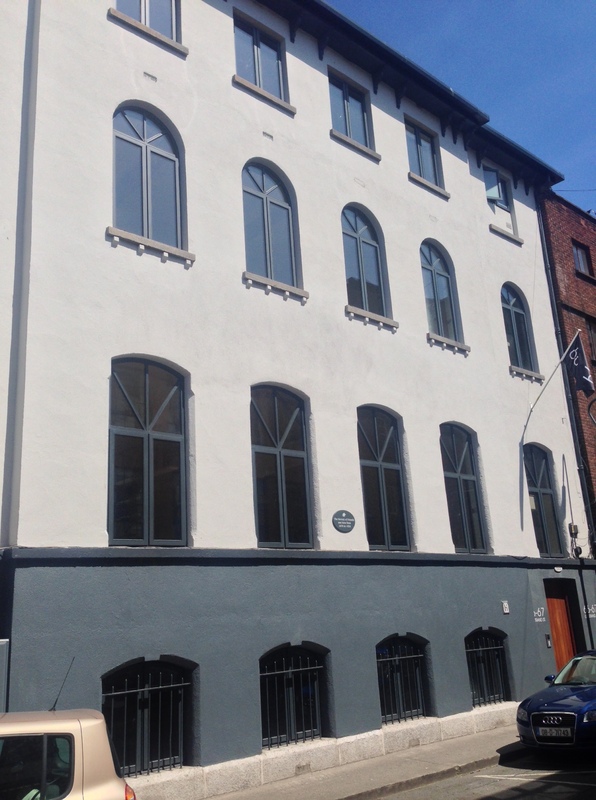 At 66-67 Strand St, the former Quaker Meeting House is looking well. The house opened in 1869, 10 years after the better known Meeting House on Eustace St. 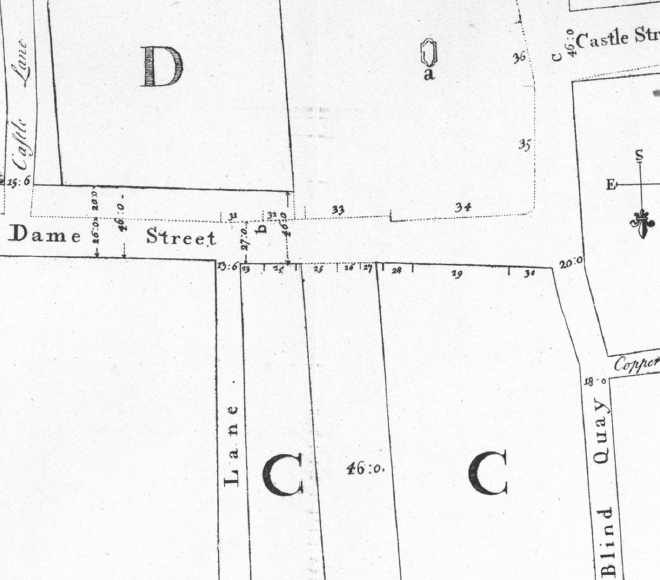 The latter has a much longer history; since 1662 there was a house on Sycamore Alley with the back entrance was towards Eustace St, but a swap with Joshua Bewley led to the new building opening in 1859. Strand St was used as a Meeting House until 1924. The building included a Reading Room for men and “Edith M. Wigham and some interested ladies” ran a Drilling Association for women, which included activities like gymnastic classes. 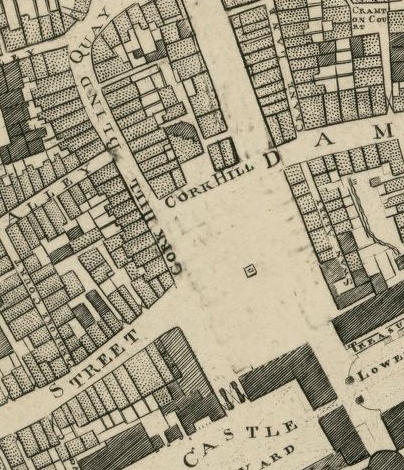 Charitable works included “looking after” unfortunate women and girls in the vicinity of Dame St, as well as providing a base for people coming off ships with nowhere to go. 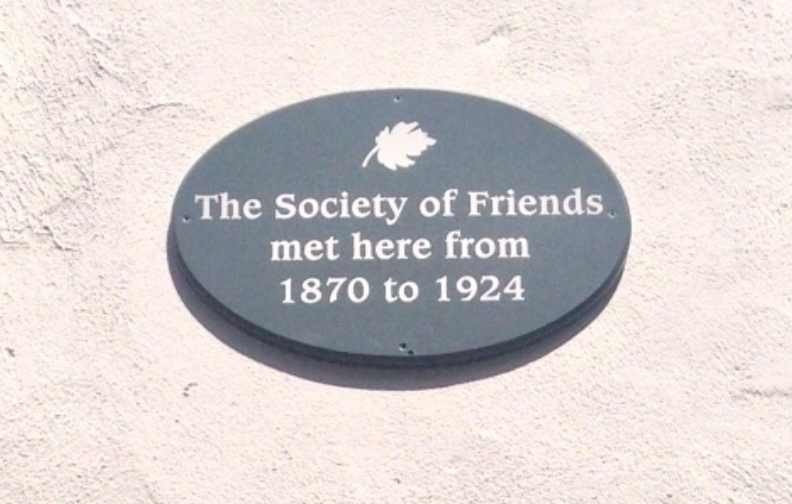 A small plaque on the building commemorates the Friends’ presence. Katherine Butler (1991) Friends in Dublin, Dublin Historical Record, 44(1), 34-46. The idea of postboxes, according to Stephen Ferguson’s wonderful The Irish Postbox, may have come from the seventeenth century denunciation boxes common in Italian city states such as Florence and Venice. Citizens were encouraged to post anonymous reports of criminal activity. The situation of this postbox, outside Dublin Castle may carry some resonances then, through misty-eyed glasses. This one bears the relatively unusual insignia of Edward VII, with the gorgeous large swirling ‘E’, and has thankfully been spared of an appendage, so far. It is preposterous to expect that a pillar letter-box in the street, to be emptied in all sorts of weather, will be entrusted with the valuable correspondence of mercantile firms. The dispute lasted three years and the postal room was eventually reinstated. 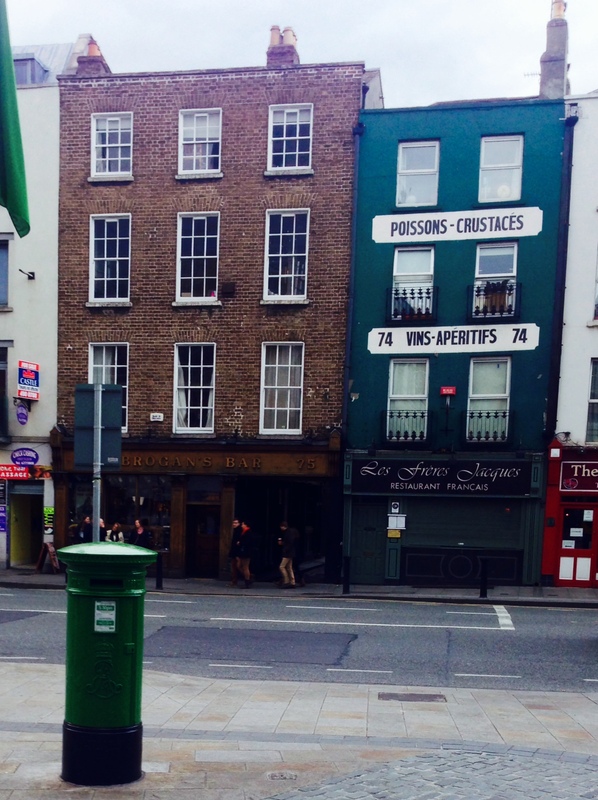 Stephen Ferguson (2009) The Irish Postbox: Silent servant and symbol of the state, Dublin.